Learning to work together, play together, and solve problems together are positive outcomes of utilizing solution kits in classrooms. In Early Childhood Education we are working to build a foundation that children can use for the rest of their lives. The most important aspects of that foundation are not the academic skills of counting and phonics but the relational skills needed to be a part of a healthy community. Teaching children calm, kind ways to resolve interpersonal differences can have far reaching impacts. When these children grow up, they may be far better equipped to solve life’s big problems because they have learned and practiced solving problems that look small to an adult but are gigantic to a child. One way we help children learn to solve problems is the use of a solution kit. The solution kit is a basket of cards with possible approaches to problem solving. The suggestions include ideas like sharing, taking turns, asking nicely, asking an adult to help, using a timer, etc. Children are introduced to the solutions at a time when they aren’t in the midst of a crisis. It can be as simple as sitting with an adult in the cozy corner, helping a couple of teddy bears work out a pretend problem. They can consider each of the cards and discuss how that might help the bears. Should the bears play together or get a timer and take turns? When a real conflict arises, and it certainly will in a preschool classroom, the children will already be familiar with the concepts. They might need to be reminded that there are possible solutions besides tears and tantrums but they will know there are tools they can use. In the years we have been teaching children to use the solution kit it’s been very gratifying to see children progress from needing adult facilitation to independently applying the solutions. It usually starts with a third-party child bringing the kit to friends who are having a conflict. As they get more skilled at independent problem solving we begin to hear more negotiations and fewer squabbles. It many cases, the first child hands over the desired toy before the two minutes is up. That ability to negotiate differences and treat others with respect is a vital life skill. Our world could use more people who know how to solve problems and get needs met without getting angry or feeling threatened. I am hopeful that these children will teach others by their example and be leaders when they get older. Solution kits are a topic at TLC Parent Toolkit Nights. 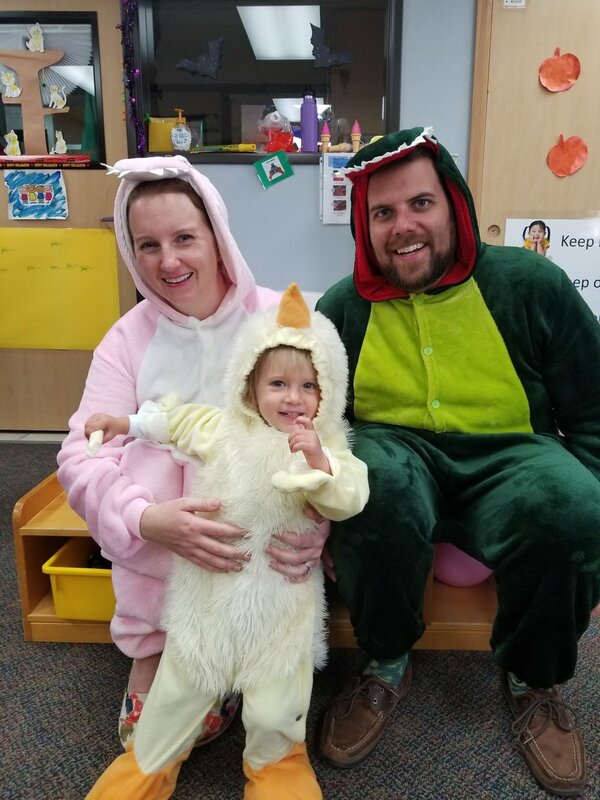 If you’re a TLC parent, be sure to check the school newsletter for the next Parent Toolkit Night to learn more tools for your belt in helping your child navigate the preschool years. 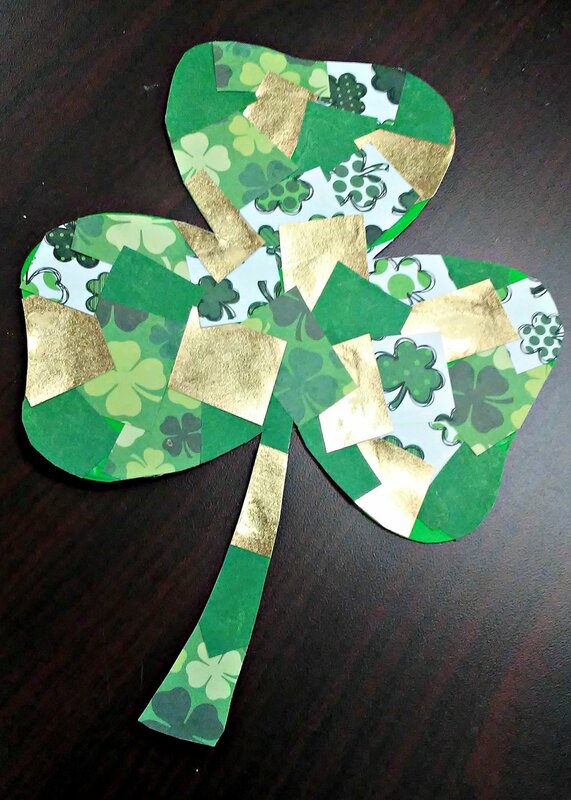 You won’t need the luck of the Irish to pull together these five easy and fun St. Patrick’s Day crafts with kids. They’re colorful, kid-tested-teacher-approved, and sure to be a hit with any preschooler when celebrating St. Patrick’s Day. This craft is so simple and requires very little prep. 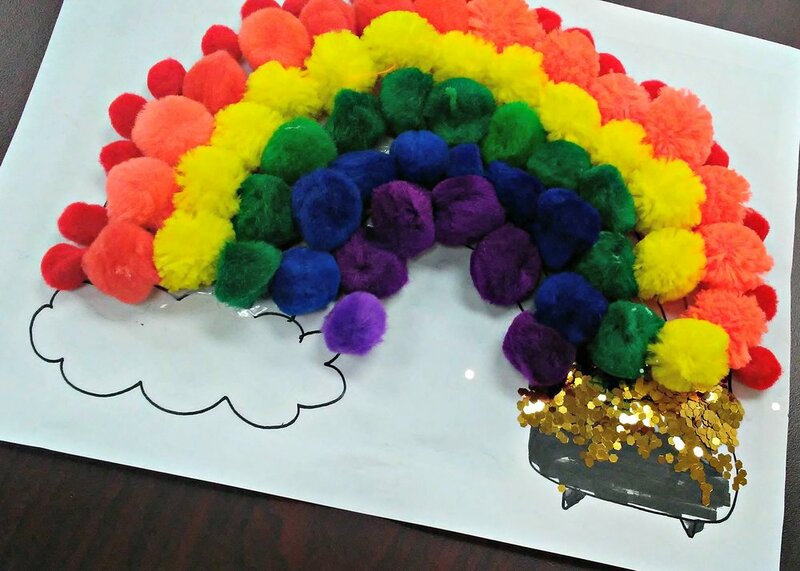 Just find a printable rainbow with a pot of gold at the bottom or draw one yourself! Draw or print a rainbow with a pot of gold at the bottom. Use the opportunity to look at pictures of rainbows and talk about the order the colors go in with your child. Have your child place the pom-pom in the corresponding rows and glue them down. Add some gold glitter to the pot of gold and let them color the pot black! Voila - fine Motor Skill practice and color learning all in one! This craft is for the preschooler who loves all things slimy. This ooey-gooey shamrock slime is tons-o-fun. Get two small bowls and add 1/4 cup of water to each. To one bowl add 1/4 cup of clear glue and sprinkle some glitter and shamrock confetti. In the other bowl add 1/4 teaspoon of borax. Mix each bowl really well. Slowly stir the borax mixture into the glue mixture and watch the slime begin to take shape! Continue stirring until everything is mixed well. Keep your shamrock slime in a sealed container when you’re not playing with it. NOTE: Children should never have direct contact with borax! Never leave them unattended while playing with slime! 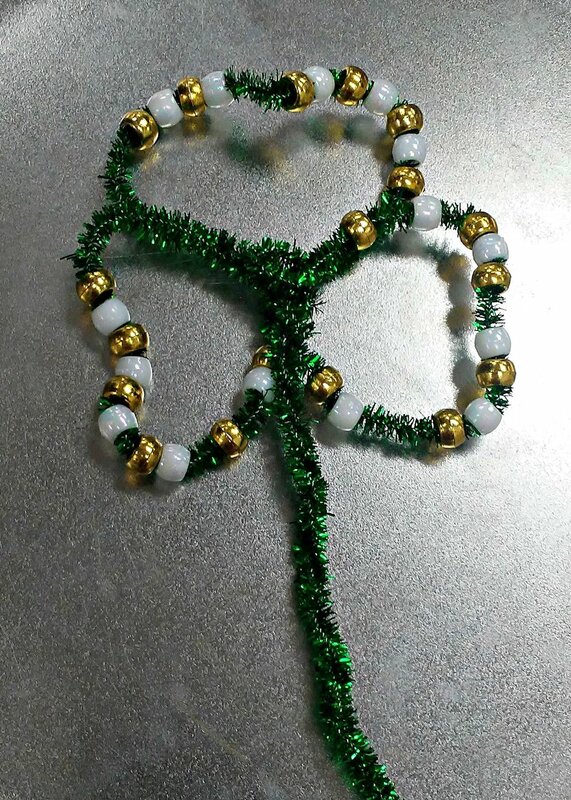 These beaded shamrocks are a great parent and kid work-together activity as they are a little more involved. It offers great motor skill practice and the supplies can be used over and over again! Twist two pipe cleaners together. Leave them in a straight line. Work together to make your own unique pattern with the beads. Once the patterns are complete fold the pipe cleaners in half. Create one heart shape at the curved end of the folded pipe cleaner. Twist underneath that heart to help it hold its shape. Fold the remaining edges up and twisted them in the middle. Form them into heart shapes as well. Then, finally, add another pipe cleaner to make the stem of the shamrock. This one is, again, great motor skills practice. Try making some with rainbow pony beads or green and white as well! Preschoolers love to help, this we know. So how about letting them help the leprechaun find his pot of gold and all his coins. This one requires some prep time but it is worth the fun. To set up this St Patrick’s Day ice melt activity, I recommend you freeze the items in layers. In the first layer freeze the pot of gold (fill with pennies to sink), some jewels, and coins. Make sure it freezes completely before adding the next layer. Top it all off with some glitter and coins. Allow your child to test which method works better to melt the ice, eye dropper or squeeze bottle. Both are great motor activities. This activity is an easy, fun, and simple science concept as well. Want to add math skills? Just count the coins together! What’s St. Paddy’s Day without some shamrocks? This easy craft is great for a variety of ages and is almost completely mess-proof. Work on those motor skills once again and allow your preschooler to cut out pieces of paper that they like. Allow them to apply the glue to the precut shamrock (glue sticks work best) and then stick their cutout paper on to the shamrock shape. If some of the paper overlaps the edge of the shamrock just trim it once it is all dry and enjoy! These projects are easy and (mostly) no mess. You possibly already have most of the ingredients at home, too! So gather the lads and lassies and get crafting! Happy St. Paddy’s Day! 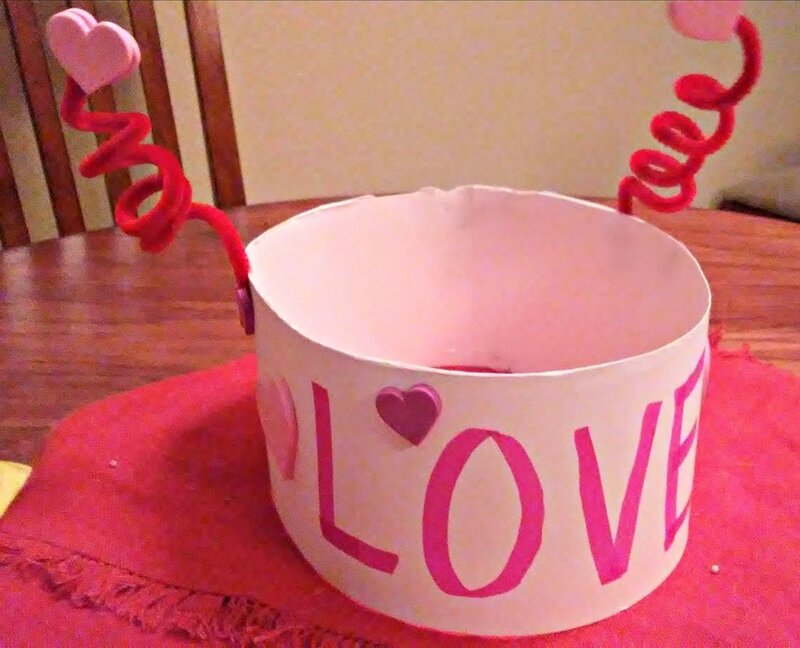 This cute Valentine’s crown can be tailored to fit the interest/involvement level of any kid. Add different stickers, glitter, markers, crayons, etc. Go themed with cute animals, or even use superhero stickers! Let the kids' creativity reign. This craft is so simple and needs very little prep. Cut the poster into strips and let them decorate their headband with markers and stickers. Then twirl up some pink pipe cleaners and staple the whole thing together. So inexpensive and fun. This craft hits fine and gross motor (allow them to try to twirl the pipe cleaner around a pencil, or even allow them to help you staple it together,for older preschoolers). Plus they can wear it and declare themselves Queen/King of Hearts. For the preschooler who loves all things animals, this heart-shaped Valentine’s Day Bird Feeder is an easy way to combine social responsibility with the ooey-gooey fun of peanut butter. Use the cookie cutters to cut heart shapes out of the bread (this is a great chance to use up any stale bread). You might have to help your child push the cookie cutter all the way through the bread, depending on age and skill level. Use a straw to poke a small hole at the top of each cutout. This is where the twine will go through, so you can hang your bird feeders outside. Use a butter knife to spread the peanut butter on to the bread (this is part of why stale bread is better). This is the messy and fun part for the kids. Then sprinkle the bird seed on to the peanut butter (best to do over a bowl). All that’s left is to string the twine and hang them up outside! So fun and eco-friendly. Heart Glitter Jars are the perfect sensory valentines project for calming and focusing. These pretty swirly jars are so much fun for kids (and adults) to look at. To start, pour most of a red glitter glue bottle into a measuring cup. Then add about the same amount of hot tap water to the cup. Mix everything together until it seems thoroughly mixed. Then pour the glue and water mixture into your bottle of choice. After that, just add a bit of heart glitter. The glitter doesn’t need to be measured – just add whatever you feel like. Easy and fun, not to mention sparkly. Magic Marbled Milk is pure science fun. Watch your kids' faces light up in amazement as this nifty little experiment. It’s an easy activity that is kid-friendly and clean-up friendly. Place a heart-shaped cookie cutter in a shallow dish or baking sheet. Pour milk into the cookie cutter. It will leak out into the dish, but that’s fine. You don’t need much, just a thin layer that covers the bottom. Squeeze a few drops of food coloring into the milk. Then dip the end of the toothpick into the dish soap and then into the center of one drop of colored milk. Don’t stir it! Watch the color explode and swirl inside the heart. Repeat and enjoy this valentine’s science experiment. Red Glitter Playdough is another perfect sensory activity for little ones. I love homemade playdough and this no-bake recipe is perfect. Add some lavender essential oil for even more sensory fun. Mix the flour and salt and add the tablespoon of oil. Add the water and mix well. I usually start with a spoon to gather it mostly together then use my hands for the rest. Kids love this part and it’s a great opportunity to include them. Once mixed to desired texture add the glitter and mix again to ensure an even distribution. Add essential oils to preference. This is sure to be asked for over and over. Note: Want to bring in some literacy? Use masking tape to spell out letters and have children roll out the playdough to spell the letters - this makes great name practice and hits motor skills as well! All of these projects are totally teacher tested and kid approved. They’re super easy and most of the ingredients you probably already have at home! So gather the kids and get crafting! Happy Valentine’s Day! How is Your "Engine" Running? 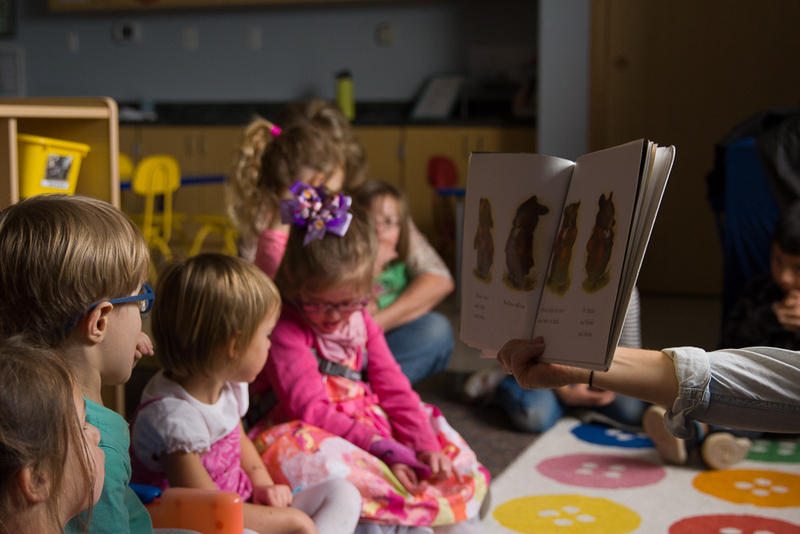 Hearing a story together in low lights helps our preschoolers calm their engines after fun and excitement outside. Daily life, even with its routines, can be overwhelming at times. When holidays or other new activities are added to the mix, making it through a week can feel like scaling a mountain. As a parent, there is always a lot to juggle and readjust, such as routines, sleeping habits, meals and days off school. Kids can also struggle with maintaining a consistent routine and adapting to changes, and while I know my children love excitement, they also do better with a consistent routine. As much as I love to travel, plan something fun for a weekend, and celebrate holidays with my family, the demands of juggling all the to-do’s can cause me to feel more scattered, forgetful and stressed….so my ‘engine’ tends to run fast! What is she talking about with this ‘engine’ thing, you say? Interestingly, these three engine speeds normally occur throughout a given day, and no one way is right or wrong to feel. I can only go to sleep once my engine has begun to ‘slow’ before bedtime, and I do better in a high-paced yoga class when my engine runs ‘fast.’ I have learned that my engine needs to be running ‘just right’ to focus and to be the most present in the moment. The goal of this great program is to help children to learn a common language to describe their level of alertness. • And find it is hard to pay attention when we are running ‘fast’. • And also have a hard time focusing or paying attention. • find it easy to focus and pay attention to what is going on around us. In my household, to help with communication, understanding of stress levels and remaining as calm as possible, I frequently talk about my engine speed and how or why it changes. I can change it with a warm tea, a brisk walk, or accidentally setting off the smoke alarm. I talk about exploring calming, organizing, or energizing sensory strategies using my movement, my mouth, touch, eyes, and ears. My goal, and the goal of the program, is to expose my children to language that helps them to talk about and understand their body’s engine better. I also want children to know that while life can be stressful, we all use strategies to help with self-regulation (becoming more calm or alert). We all have our own preferred sensory strategies and use them, many times without even realizing it! So, think about what makes your engine run too fast, too slow or just right, AND what changes it. Changes in routine? Jarring, loud noises? Somebody standing too close? Swinging in a hammock for hours? A warm cup of tea? Sitting for a mindful minute or two of deep breathing? And when your dog’s barking is making your engine run fast, causing you to be distracted, share that experience with your child! When you’ve taken a long quiet warm bath and your engine has slowed down before bedtime, talk about that too! This will help you to see how sensory events (e.g. your dog’s barking) and sensory strategies (e.g. mindful deep breathing) play a part in your life. It will help your child if you can talk about your engine, and share or model using your own strategies to alert or calm yourself so that they can learn this important skill from you, too! What helps your engine run just right? Infants, toddlers, and preschoolers are busy people. Parents and teachers alike know that young children can be constantly in motion as they learn to move through and explore the world around them. As children are engaging with their surroundings, their brains are flooded with new information. We all know that sleep is important, and many assume that sleep is critical for resting our bodies, especially for active toddlers. However, research indicates that this is not the case. Surprisingly, the brain is more active when one is sleeping than awake! When young children and adults are sleeping, their brains are busy building and strengthening connections within the brain. Words, movements, and ideas that are introduced to children while they are awake get built into more permanent knowledge while they are asleep. If children or adults are deprived of sleep, research indicates that learning simply can’t happen. Also, when you are tired, your brain is not as good at filtering out distractions and focusing on tasks. Loss of sleep in both children and adults hurts attention, working memory, mood, quantitative skills, logical reasoning, and physical movement. Naps improve the brain’s day to day performance. These short bursts of sleep are critical for developing bodies and brains. The information from children’s rich and social learning environments in the mornings can be solidified into lasting memories during their afternoon naps. Many children thrive on routines and structure. Recognizing this, the TLC classrooms have well-established routines around quiet time. Children are used to having quiet time at the same time each day in a darkened environment with cozy blankets and relaxing music. Their bodies become accustomed to slowing down at this designated time. Establishing nighttime routines at home might make evenings more relaxed and getting children to sleep more successful. Taking baths, reading books, and snuggling together might be part of your bedtime routines. In addition, deep pressure exercises and calming yoga poses can be effective at quieting young bodies. Doctors also recommend that children should not have any screen time—computers, TV, video games, cell phones—at least an hour before bedtime. These video screens produce blue light which affects melatonin production, a hormone that signals your body that it is time to sleep. Creating and sticking to structured bedtime routines is important for helping children establish positive, lifelong sleeping habits. Lastly, some great news for adults! Those naps that we envy our wobblers and toddlers taking are just as productive and valuable for adults. In one study, a 26-minute nap improved NASA pilots’ performance by 34 percent. Unlike our children, adults, unfortunately, are rarely able to have an afternoon snooze. Even though biologically our brains are programmed to slow down between 2-4 pm, work schedules and the realities of life usually make naps prohibitive. When you get the afternoon slump, recognize that this is normal. Nap if you are able; otherwise, try not to schedule important meetings at 3 p.m. Your body will thank you. June is pollinator month in Colorado, and you can learn more about these critical critters (bees, hummingbirds, moths, butterflies, wasps, beetles, and more!) at Save Our Pollinators Day tomorrow from 9:00 AM to 3:00 PM at the Jefferson County Courts Administration Building (100 Jefferson Parkway, Golden CO). When most people (especially children) think of bees, they think of honeybees. Did you know honeybees aren't native to North America? While a welcome immigrant to this continent (honeybees were brought over in the 1600's to make honey), we have hundreds of native species of bees and pollinators who also need our care and appreciation. As most bees are not aggressive (and only lady bees have stingers), it's important to teach our children to appreciate these garden friends, without whom we wouldn't have 70% of the produce we eat. If you're having a healthy snack right now, thank a bee! We're serious - let's thank the bees! First, get to know some of the bees that are native to Colorado. These include: metallic green bees, sweat bees, cuckoo bees, wool carder bees, leaf cutter bees, mason bees, carpenter bees, squash bees, digger bees, bumblebees, mining bees, and so many more! Each prefers a different kind of nest, with some, like the squash bee, burrowing beneath squash blossoms, and others, like the leaf cutter bee, making nests out of cut-up leaves to secure in a safe spot, like a hole in a wood post. Only 12% of Colorado’s bees like to live in a colony in a hive (known as social bees). The majority of Colorado bees are solitary, and would love to find an inviting bee house waiting for them in your yard (or a bare patch of dirt to dig in, or an old log they can burrow into - there are so many options for providing bees with a safe habitat). Spring: Crocus, tulips, snowdrops, hellebores, lenten roses, poppies, crab apples, serviceberries, false forget-me-nots (also known as brunnera), creeping Oregon grape, sweet alyssum, snapdragons, blue flax, pasque flower, mock oranges, currents, gooseberries, columbines, and bachelor buttons. Summer: Salvia, lavender, catmint, yarrow, yucca, bee balm, black-eyed Susans, penstemon, snapdragons, verbena, coreopsis, echinacea, milkweed, agastache, blanketflower, gayfeathers, rabbit brush, button bush, and herbs like fennel, dill, oregano, and parsley which support both the immature and adult forms of butterflies (let them go to flower for the nectar). Fall: Asters. autumn sages, Mexican sages, and goldenrods. Flowers with red blossoms and a tubular shape. But they also feed on pink, orange, peach and purple flowers. (via Beauty of Birds). Remember if you put out a feeder for hummingbirds to keep it disinfected and clean. Dirty hummingbird feeders can cause an infection in hummingbirds that leads to starvation and death. TLC student Daphne has fun with a combination of toys and cardboard boxes at home. I love picking out the perfect toy for a play session. Finding a motivating toy for a child can spark engagement to help best instruct specific speech and language skills. However, as a mom of a toddler, I know the reality of caring for these toys and the constant picking up and putting away of books, dolls, puzzles, play food, and more. Is there a way to balance exposing your child to developmentally appropriate toys/play while also keeping a clean house? Maybe not all the time. However, given the steps below, language skills like attention, following directions, categorization, requesting, and pretend play can be fostered even during clean up. Step 1: Dump toys on the floor (pick a corner!) and sort. Why? Embrace the mess! What is your child drawn to out of all those toys? Which ones need to go? Language learning opportunity: categorization/following directions: Have your child assist you in the sorting/organizing their toys. You can do this simply and increase difficulty. • "Grab all the books!" • "Put the books on the shelf"
• "Put the books on the shelf and the animals in the basket"
• "Put the big books on the shelf and the little books in the box"
Step 2: Put those toys in containers or reclosable bags. Why? Putting toys in their assigned groups helps a child make associations. For example, if a child pulls out "pretend foods," their experience with each fruit and vegetable reaffirms the multitude of specific "foods" within that category. Language learning opportunity: requesting: Is your child showing interest in the zipped up bag full of blocks? Let him/her ask to open the bag! You can do this simply and increase difficulty. • "I see you want to play with the blocks!" • "You are <insert here the action your child is taking to show you she is requesting such as reaching, pointing, nodding head, or even saying "open! ">"
o "Is it stuck? Oh, you need help, 'help please! Open!'" • Additionally, while having a clear container creates an opportunity to label the contents inside, a colored/blocked container allows for a child to guess what's inside. Step 3: Put half of those containers away in another room. Why? This helps your child focus on the toys available, removes clutter (less cleaning for you), and makes for a more interesting toy after they've been out of sight for a while. Language learning opportunity: Attention/following directions. Is your child all done playing blocks? Using "first, then" language can help transition between activities and/or increase the time spent on the activity. • "Are you all done playing blocks?" • "Oh! First, we put the blocks in the box, then we can eat our snack!" Step 4: Use what you've got around and outside the house. Why? This is a free and functional way to optimize vocabulary development with household items and role play of daily routines. Language learning opportunity: pretend play. Not using that cardboard box lying next to the recycling? Can it be transformed into a house? A kitchen? • Act out daily routines: pretend to eat, sleep, wipe the floor, etc. • Extend these routines to include other toys: feed the doll, put the teddy bear to sleep, clean up the kitty's spilled milk, etc. I'll confess, I'm actually not a neat freak. To be honest, my living room is usually messy... However, considering from time to time that cleaning can also be an opportunity for play and interaction, making "putting toys away" that much more fun and meaningful for you and your child.